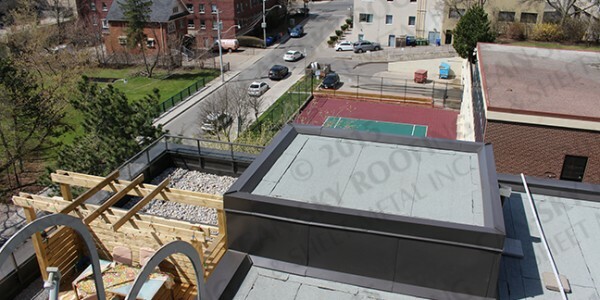 Project Details: This project consisted of a high-rise apartment building’s flat roof replacement. 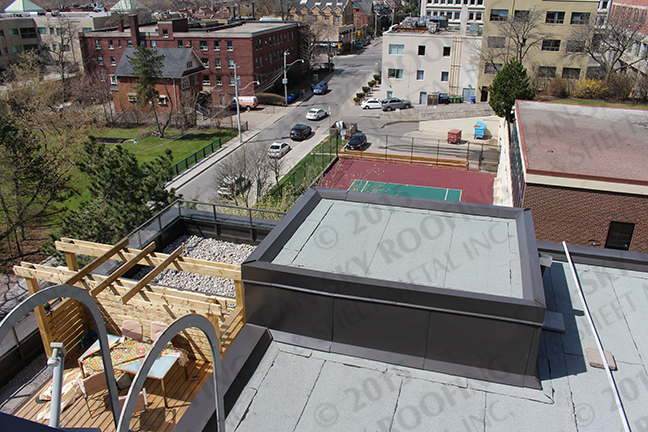 Toronto’s skyline can be seen in the background as the building is located in Rosedale. 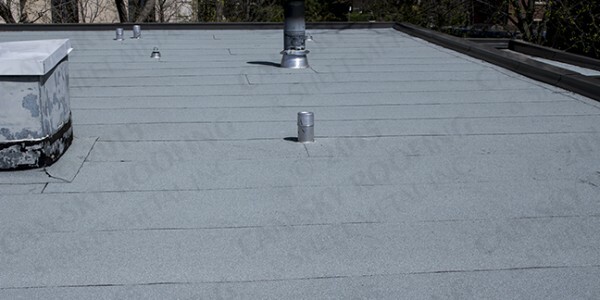 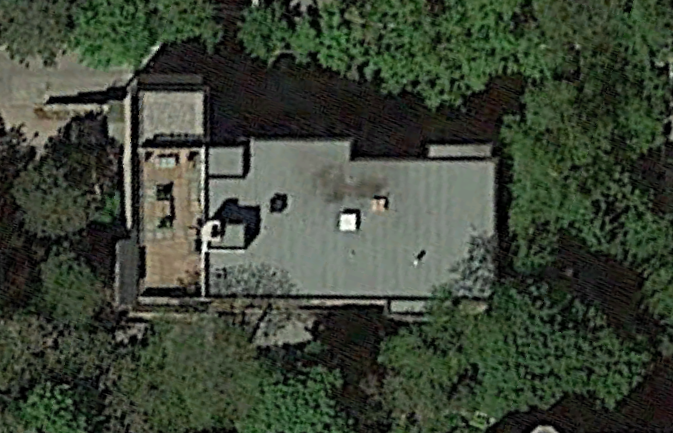 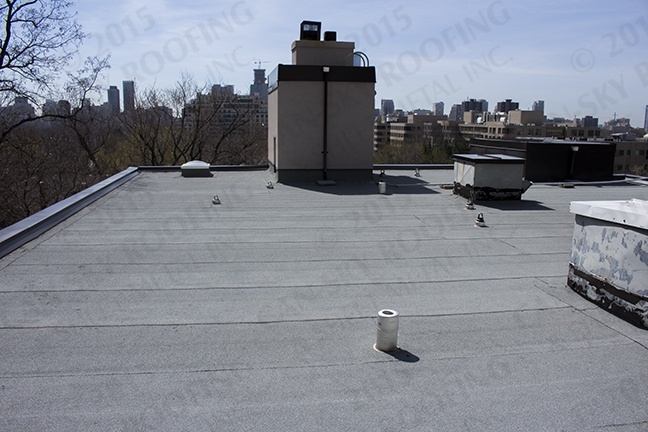 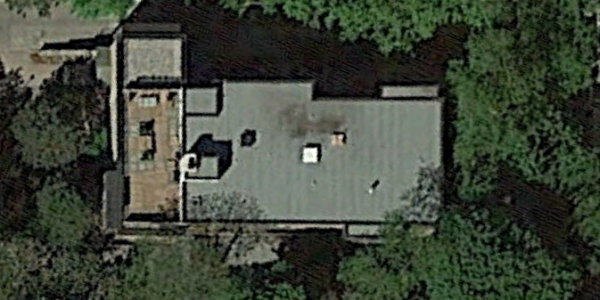 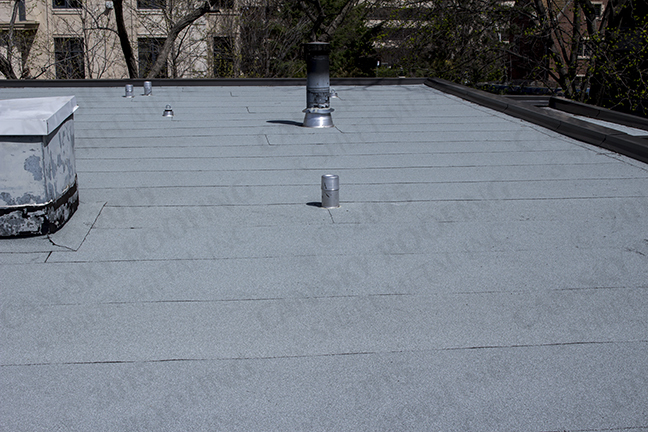 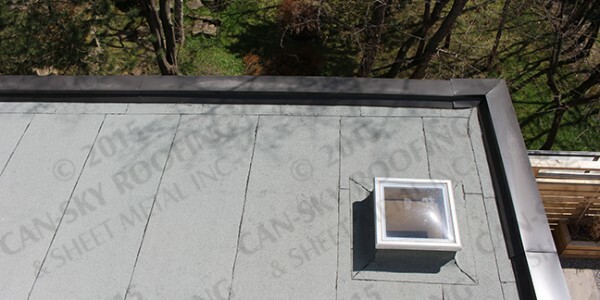 The design of this roof system included a tapered insulation slope system at 1% to allow for positive drainage of any standing water on the roof. 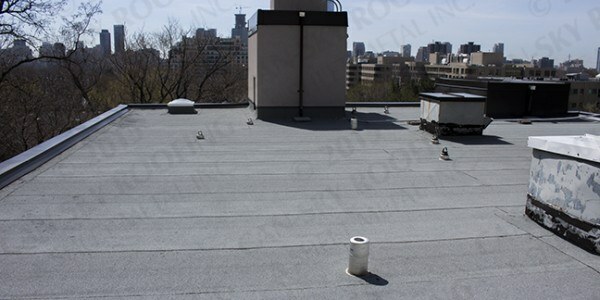 This system is warranted by manufacturer Henry BAKOR against workmanship defects. 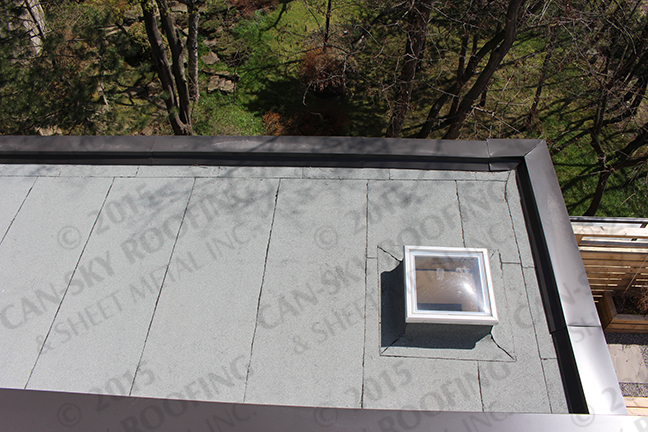 Our sheet metal department also completed the cutting, fabrication, and installation of the parapet capping and coping.